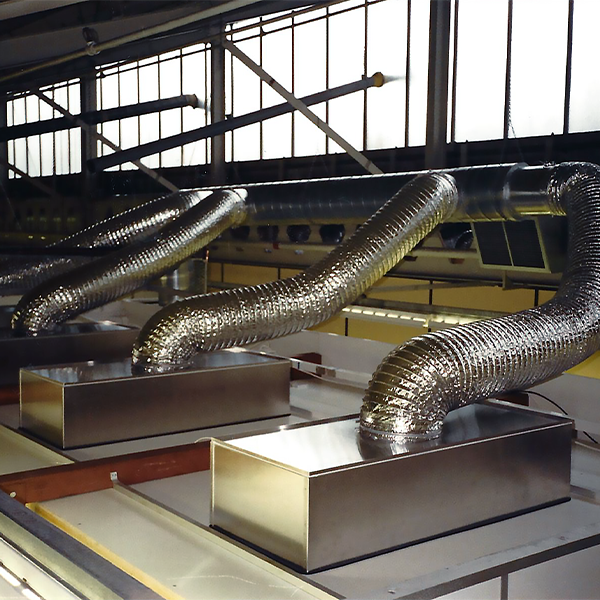 The HEPA Cassette Filter ensures it yields only clean filtered air from the filter face when connected to a duct system or fan via its spigot connection on the rear of the filter. This is without the concerns of clamping pressures, gasket seals and the quality of the sealing mating face, associated with the traditional Terminal Housing. Once connected, only filtered air can leave the filter, as it has been factory tested and the cassette casing is the integral case of the HEPA filter as well. The HEPA Cassette Filter can have either a knife edge seal, or alternatively a flanged seal complete with neoprene gasket. 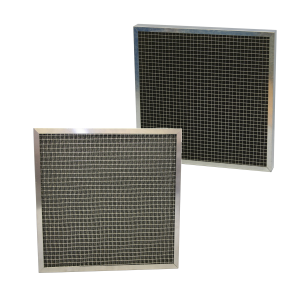 As standard a white powder coated grille is incorporated into the face of the filter to offer good mechanical protection to the HEPA filter pack. 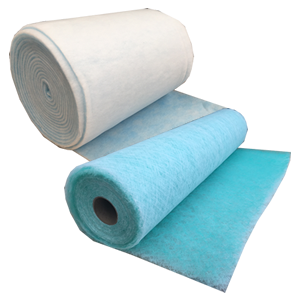 The filter pack is sealed within the HEPA Cassette and has a 300mm overall depth providing a suitable plenum behind the filter for air distribution. The overall size of the HEPA Cassette Filter can be reduced to 145mm, by utilising a mini pleat filter pack, and in a few specifically engineered designs the traditional 292mm pack can be used giving an overall height of 500mm for the cassette. AA/H14/FL/GR/CASS for an aluminium cased, Aluminium separator grade H14 and a 20mm flange with a white powder coated grille. AA/H13/K/CASS for an aluminium cased, Aluminium separator grade H13 and a 40mm knife edge protruding below the filter pack. A simple damper can be installed in the neck of the spigot for flow adjustment. Pressure tapping points can be included in the cassette for measuring upstream filter pressure.